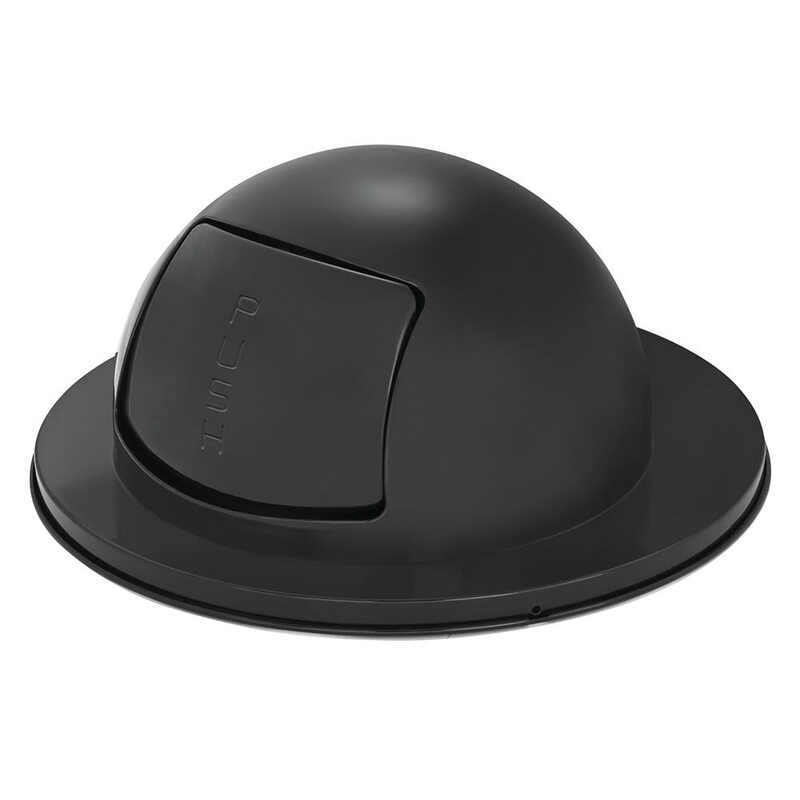 The Rubbermaid FG1855BK Towne dome top lid has a steel construction with a black gloss. Its self-closing push door confines odors and keeps waste out of view. This unit fits on FGMT32, FGH55, and FGSBR54 receptacles. To learn more about trash receptacles, check out our trash containers buyers’ guide.